One week before his law school graduation, Jake Rutledge is shattered. His fraternal twin, Blake, has died of a drug overdose. When Jake returns to his hometown of Oakley, West Virginia, he discovers that his brother was not the only person hooked on opioid painkillers. The entire region has been ravaged by an epidemic insidiously planned and carried out by one of America’s most powerful pharmaceutical companies. Still wet behind the ears, Jake is determined to seek justice for all the victims of Big Pharma’s greed. He soon learns that the drug companies’ tentacles reach far and deep. His only hope is to get Nicholas “Deke” Deketomis to help. A partner at one of the country’s most powerful law firms, Deke’s “as tough as a two-dollar steak” and well-known for his winning tactics against corporate wrongdoers. With just enough persistence, Jake coaxes Deke to see Oakley’s devastation firsthand. Overwhelmed, Deke agrees to join forces with Jake. And that’s when the real heat begins. Death threats, bribes, unlawful property seizure schemes – all are connected to the massive distribution of both legal and illegal drugs. Everyone is impacted, from the highest levels of corporate America to corrupt local officials to their lackeys and hapless victims. The complexity of the schemes is overwhelming. Working tirelessly, the lawyers begin to uncover the truth. Along the way, Jake falls in love with Anna Fowler, a former homecoming queen who has succumbed to the power of opioids. With his support, she weans herself off the drugs. Hope begins to bloom ― when suddenly, Jake disappears. As Deke undertakes a desperate search to find him, questions swirl. Has Jake abandoned Anna and his crusade? Can the case against the evildoers move forward without him? Will Oakley and its residents survive? Law and Addiction is real-life drama at its finest ― a book that clears away the darkness page by page, spotlighting a profound truth about our society through expert storytelling. Q: What’s the story behind the title of your book? Q: Tell us about your series. Is this book a standalone, or do readers need to read the series in order? A: All three of my novels feature the resolute trial lawyer Nicholas “Deke” Deketomis, but each book is a standalone. In Law and Disorder, money, power, and politics line up against Deke, and he must fight for his freedom, his family, and the future of his prestigious law firm. And in Law and Addiction, Deke is fighting Big Pharma on behalf of the thousands of American’s trapped by the opioid crises. Q: Do you have another job outside of writing? A: Yes. I’m senior partner at Levin Papantonio, a plaintiff’s law firm based in Pensacola, Florida. We’ve handled many important cases, taking on Big Pharma, tobacco companies, and the automobile industry, among others. I am also one of the hosts of the syndicated Ring of Fire radio show and the host of America's Lawyer on RT America network. Q: Where’s home for you? Q: How did you create the plot for this book? A: I think most novelists are driven by stories they’ve heard or experienced. 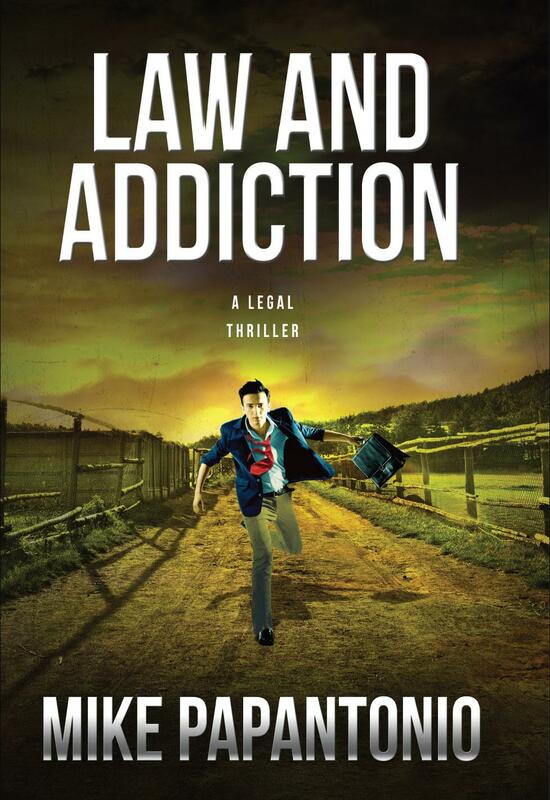 All of my novels – Law and Addiction as well as Law And Disorder and Law and Vengeance – were driven by real events. These weren’t events that I read about in a newspaper – I’m actually in the middle of them. I’m in court and taking depositions on these issues. Q: Are any of your characters inspired by real people? A: The characters in my books are based on people I’ve worked with. They’re all composites. I collect little notes about the people I encounter of the years, and those qualities that I’ve found interesting become part of future characters. Take Jake in Law and Addiction, for example. Every day, you have young lawyers who are graduating from law school and trying to figure out what they want to do that’s important – what kind of legacy they want to build. Right out of law school, Jake confronts one of the biggest cases in the country. Oddly enough, this isn’t really unusual for really superb trial lawyers. You have the 1-800-AUTO-CRASH lawyers who handle ten thousand auto cases in their career, and that’s their legacy. But there are other lawyers who want to tell their children that they’ve really accomplished something – they’ve gotten a bad drug off the market, they’ve cleaned up an environmental catastrophe. In this case, Jake decides he can take on the biggest pharmaceutical industry in the world. Q: Is your book based on real events? A: Yes, I actually wrote Law and Addiction in real time, while I was handling a similar lawsuit against pharmaceutical companies. So, the book is based on real events that I’ve sought to mold into a good story that people will enjoy reading. Q: Are you like any of your characters? A: Deke is a character that can best be described as a composite. Because of the unusual quality of my practice, I have had the opportunity to work with the very best trial lawyers in America. There are probably fewer than fifty trial lawyers in the entire country who specialize in trying what would be considered complex cases on behalf of injured claimants. I have borrowed both the best and the most problematic qualities from that small group of trial lawyers to create Deke. Q: Do you have a routine for writing? A: It may be counterintuitive, but the best writing advice I’ve ever gotten is to stop writing when you have a “hot hand.” In other words, when I’m writing a chapter and it’s going very well, I stop. I take a break, think about it, and get some sleep. When I come back the next day, I’m not in that pit looking for the next clever thing to do. I do follow a detailed, chapter-by-chapter outline, but I try to pace the actual writing so that each morning, when I pick up where I left off, it’s to work on something I’m already excited about. A: Along with preparing for a West Virginia trial against opioid distributors, I have been focusing on building a national consortium of America’s best trial lawyers lawyers to handle human trafficking cases against corporate entities that have helped the problem flourish. In fact that is the subject of my next book. Mike Papantonio is a truth-teller, a crusader who uses fiction to entertain and inform his readers about some of the most pressing issues of our time. In each of his thrillers, from Law And Disorder to Law And Vengeance, and now Law And Addiction, he lays bare the conspiracies and white-collar crimes that hurt ordinary Americans ― and that are rarely covered by the national media. 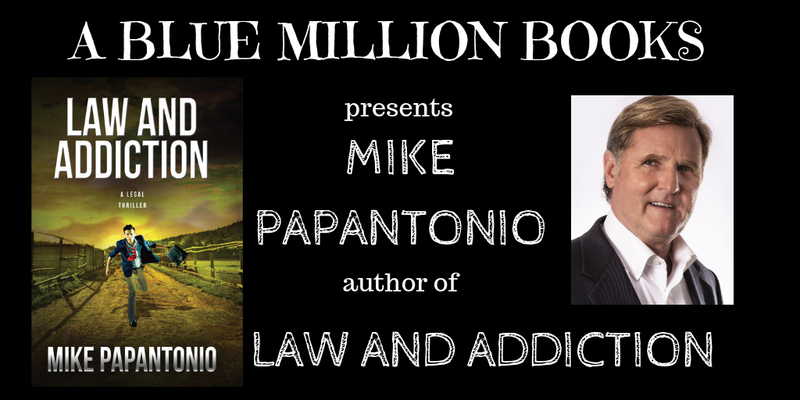 A senior partner of Levin Papantonio, one of the country’s largest plaintiffs’ law firms, Papantonio uses his own cases as springboards for his novels. He has aggressively taken on Big Pharma, tobacco, weapon manufacturer, and the automobile industry, among other bastions of corporate greed. 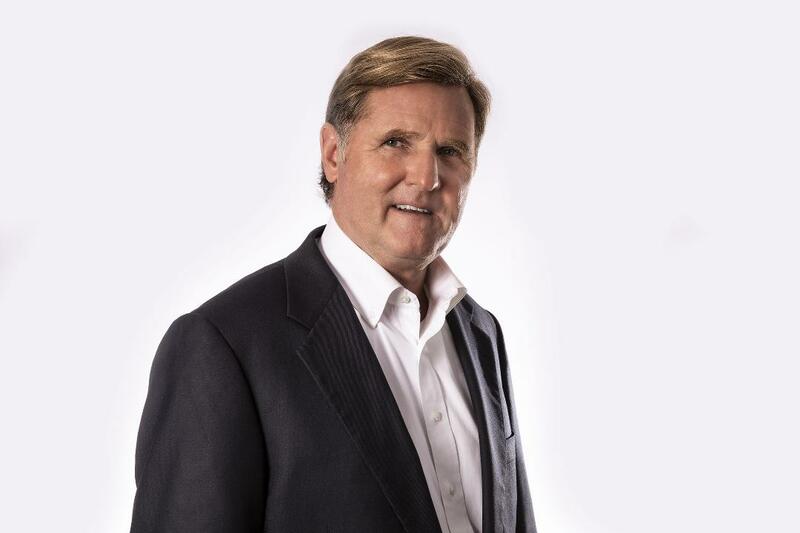 One of the youngest inductees into the Trial Lawyer Hall of Fame, Papantonio is also a well- known media presence as host of America’s Lawyer on the RT America television network and co-host of the syndicated radio show Ring of Fire. A skilled musician and athlete, he is based in Pensacola, Florida.